As we look back on 15 years of ICTJ's work, we recognize that our greatest asset is the people whose knowledge, experience, and dedication made our contribution possible. To celebrate all who have been part of ICTJ’s story over the years, we asked current and former colleagues to share their reflections and memories of moments that stand out: moments that throw the stakes of our work into sharp relief. We call their stories "Reflections on the Struggle for Justice." When the police are involved in human rights abuse, there is a need for public accounting of what they did and did not do, so that reforms can be put in place. 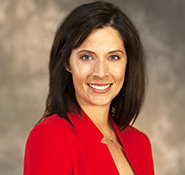 Jill Williams , executive director of the Truth and Reconciliation Commission in Greensboro, North Carolina and an ICTJ consultant from 2006-2007 and 2013-2014, recalls her efforts to bridge a cultural gap in the pursuit of shared values. 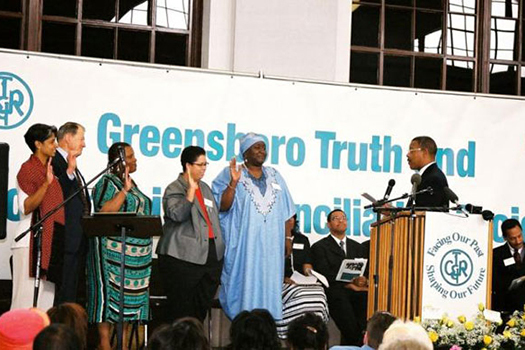 It is 2005, and I am the Executive Director of the Truth and Reconciliation Commission in Greensboro. The commission is examining events that took place in 1979, when police stood by as Ku Klux Klansmen killed five Communist Worker Party members during a protest in a low-income, predominantly African-American community. One of the most difficult challenges the commission faces is securing the participation of the police department in the hearings. Every Friday afternoon for nearly three months, I drove to police headquarters, a modern building of heavy white stone and dark-paned windows. I went there to meet with two police officers—both now in Vice/Narcotics—who had been line cops who witnessed the massacre in 1979. I wanted very badly for them to testify before the commission, but there was a huge rift separating us. It felt unlikely that I would ever be able to convince them of the value of their participation. I met the two through a local blogger. I don’t know why they agreed to talk to me. I’m sure they thought I was a radical or a communist. Perhaps I was a novelty for them. Maybe they were curious. At first, we had little to talk about, and all the pressure was on me. They had been there in 1979, and I knew that they had something of value to say—good or bad—if I could convince them. The first breakthrough came after a month or so. We sat down one Friday afternoon, and one of the officers was clearly agitated. He didn’t want any small talk. “I’ve been thinking,” he said. That sounded good to me. “I hate communists,” he continued. That sounded less promising, but I didn’t interrupt. “I hate communists, but the more I talk, read, and think, I understand that those communists were fighting for what they thought was right. Just like we do. They were ready to put their lives on the line for their beliefs.” He stopped and sat back, looking straight at me. I was flummoxed. After all these years, this guy was able to see the events from another perspective. Was the gap between us closing? I had never seen them laugh so hard. I felt ridiculous. But the next week, to my huge surprise, they came to the hearings and testified.